With this message Harold Camping has reached millions of people worldwide. 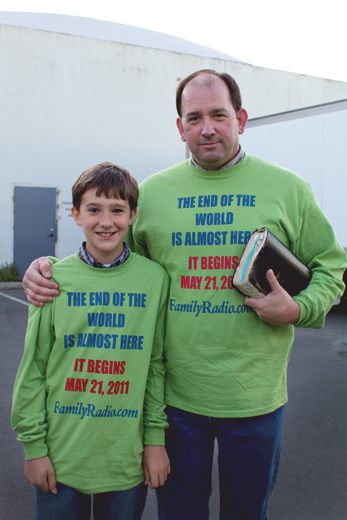 Leader of the Oakland based organization Family Radio, Camping's prediction was backed by a global TV & radio network, countless evangelizers, and thousands of billboards. I spent the weeks before May 21st with Camping and his congregation. When I asked what to do about my impending judgement, I was told to "pray for mercy". 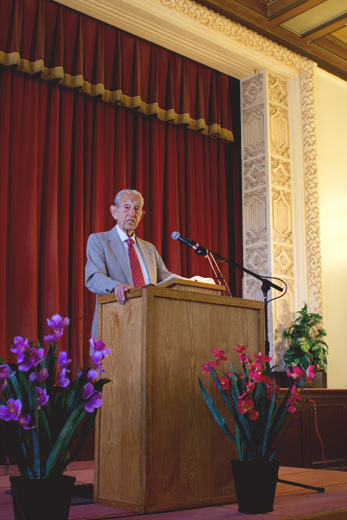 A Sunday service lead by Harold Camping commences at the Veterans Memorial Building outside Oakland. The Oakland base of Family Radio is the source of all billboards and literature seen worldwide. 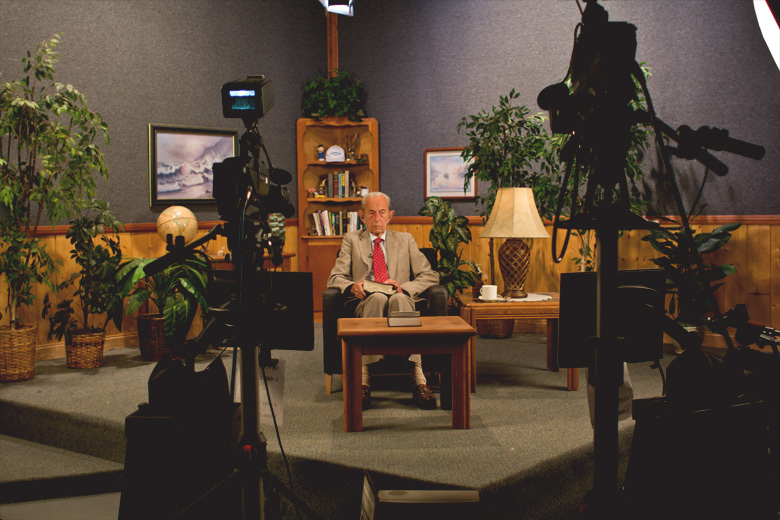 Harold Camping inside the Family Radio compound in Oakland. His previous Judgement Day prediction in 1994 proved false. Family Radio is a non-denominational network. However, Camping was a member of the Reformed Church until 1988. 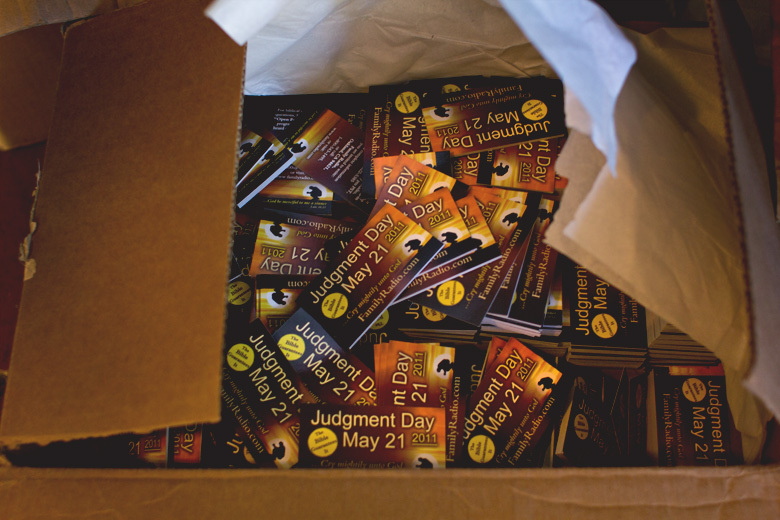 In the months leading up to May 21st, Family Radio had volunteers traveling around the United States in four caravans of RVs spreading the word of judgement day. Camping is 89 years old. 18 years ago Mr. Camping realized that Biblical evidence pointed to 2011 for the rapture. When asked how they would be spending May 21st, most congregation members said they didn't have plans. One man said he would be on a plane. 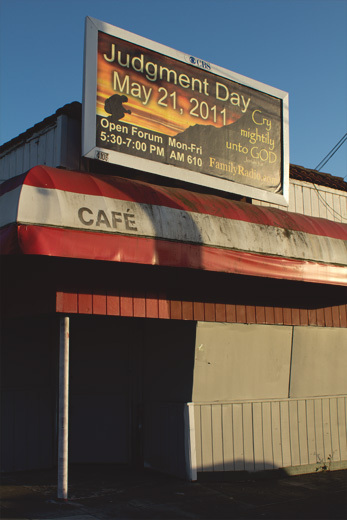 The church stated they would not congregate on Sunday, May 22nd. The present heavens and earth are reserved for fire, being kept for the day of judgment and destruction of ungodly men. But with the Lord a day is like a thousand years, and a thousand years are like a day. Camping prepares for Open Forum, a live talk-telephone program broadcast daily on radio and TV. The Open Forum live studio audience. Family Radio broadcasts their programming internationally via shortwave radio and four satellites. It is translated into over fifty languages including Somali. In 2007 the Family Radio net assets were at approximately $152 million. After his last sermon on May 15th, Camping and his wife Shirley enjoy a final meal with the congregation. I paid a visit to Camping's home just before 11PM on May 20th, when the first earthquakes were to begin near Australia. Camping had fled his home to an unknown location. His mail laid untouched on the stoop. A mock rapture left by partying visitors outside the Family Radio office on Saturday May 21st. I paid another visit to Camping's home on the morning of Sunday the 22nd. This time he was there. [AUDIO] The first statement made by Camping after the failed prediction. 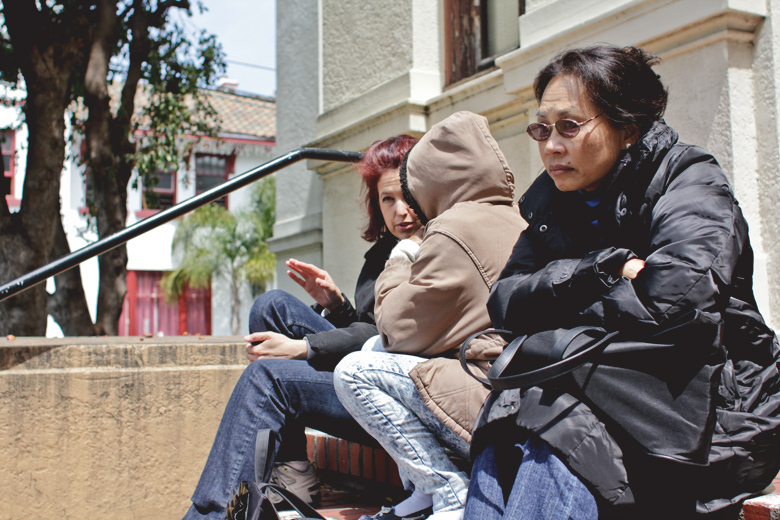 Members of Camping's congregation wait outside the empty church building on Sunday, May 22nd. 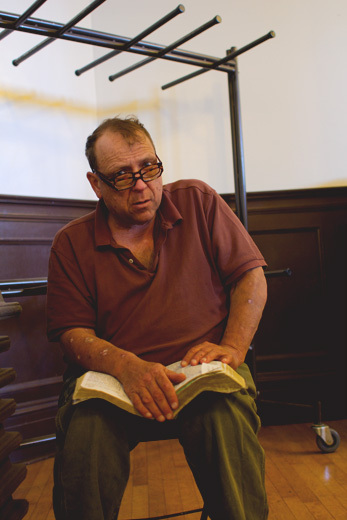 Scott Noble, a member of Camping's congregation, stands in the empty sanctuary. Louie flew to Oakland from New York to spend his last month near Camping. Louie will fly back home but wants answers from Camping. 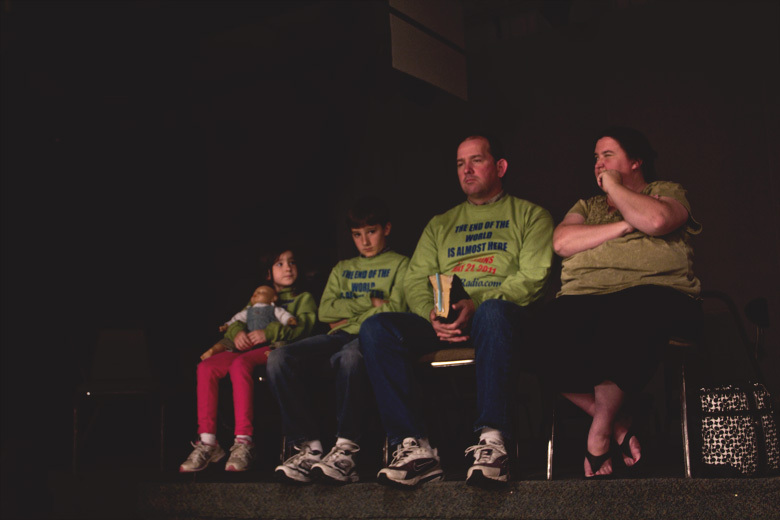 Camping addresses the press during the May 23rd Open Forum show, stating that the rapture occurred in a spiritual sense.